"I've always believed that you get out what you put in. I apply this to everyday life, my food and business are a reflection of that belief and my clients are the recipients of that passion." 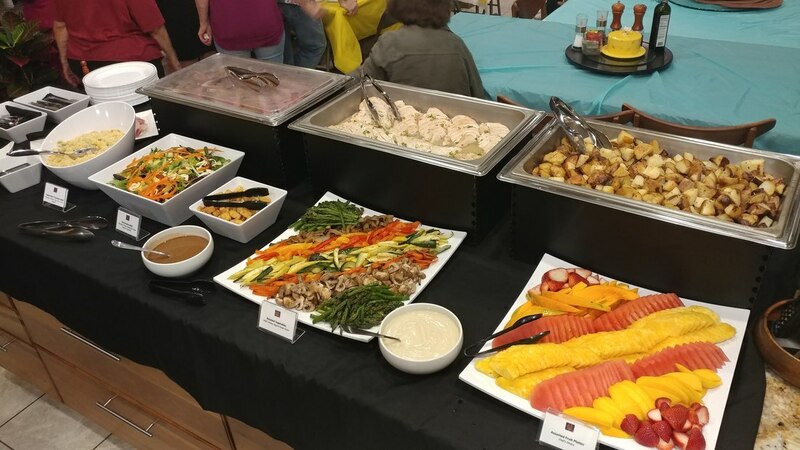 Chef Ed will design a restaurant quality menu that suits your needs for your event whether it be a casual cocktail reception, intimate buffet, home cooked family style meal, or upscale plated dinner. Once Menu is final and your date is secured, Chef Ed will secure all ingredients needed for your menu so you don't have to worry about doing any of the shopping. Chef Ed and his staff will arrive a couple of hours before your start time to prep and assemble the dishes for your meal. Any home kitchen is sufficient for what needs to be done as long as there is a sink, stove, and oven. We will adapt to what is available and work within those parameters. After your service is complete, our staff will handle all of the clean up. We will do the dishes, clean and sanitize all kitchen surfaces that we may have used. This leaves you more time to enjoy your guests. and less time with after party clean up. We know planning your wedding can be a very extremely stressful time. Let Kuoha Culinary take care of all of your wedding coordination needs, from simple menu design to rental and waitstaff services, all the way to full venue, wedding, and even honeymoon coordination thru our partnership with event coordinator services. Please inquire for more details. Looking for a unique team building event? Sales meeting dinner? Annual Holiday Cocktail Reception? Graduation or Birthday Celebrations? If you need on-site services we can help. Let Kuoha Culinary handle all of the details, handling all food, rental, and waitstaff services... We've got it covered! 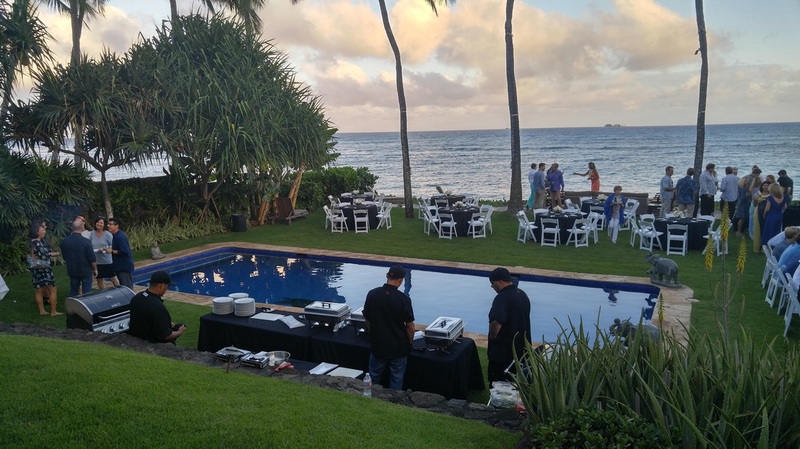 Kuoha Culinary can accommodate anywhere from 2 up to 120 guests. 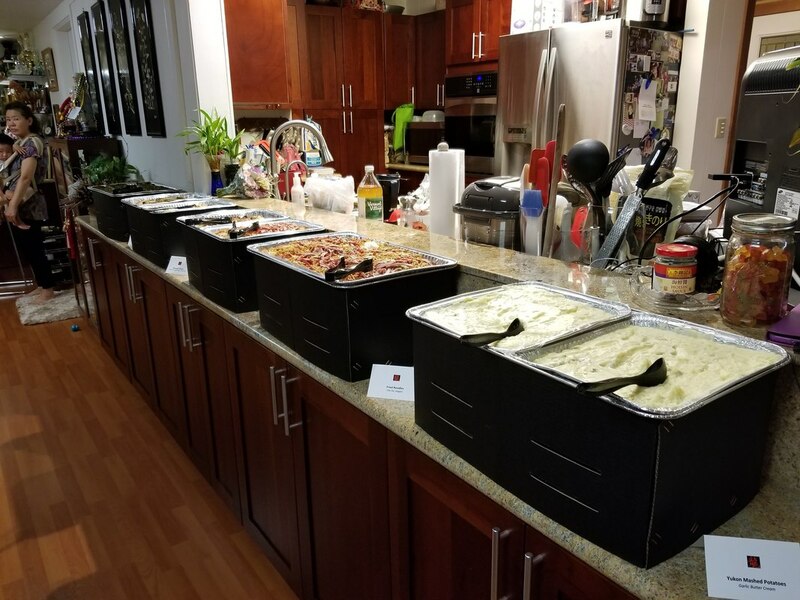 Kuoha Culinary offers delivery service where your food is prepared and delivered to your party location, residence, office, beach, or where ever you might happen to need us. 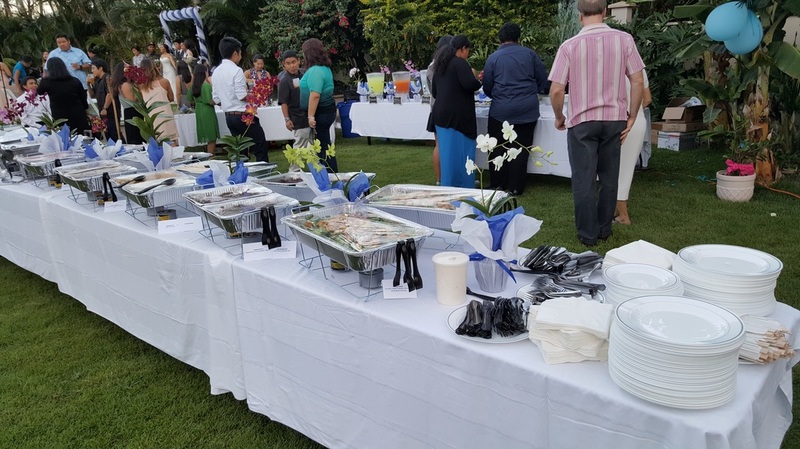 We don't just deliver the food, we'll come and set up your food displayed nicely with disposable chafers, platters, plates, utensils, and menu item cards whenever it is applicable. 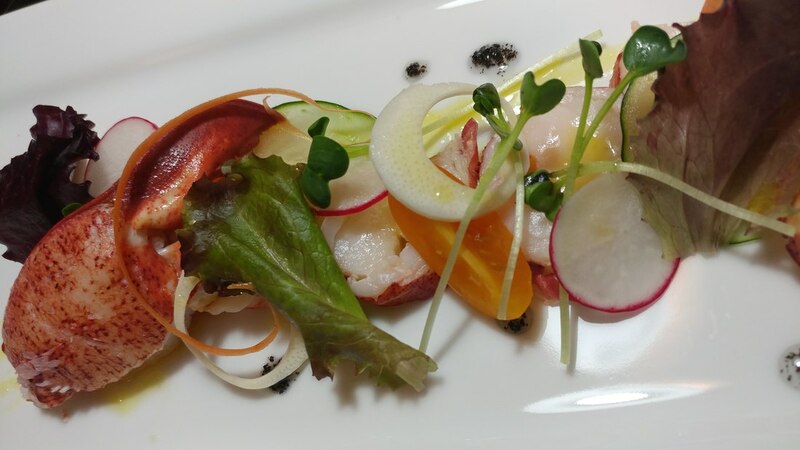 Chef Ed is proficient in restaurant concept design, food costing, menu development, kitchen layout design, and back of the house system development. 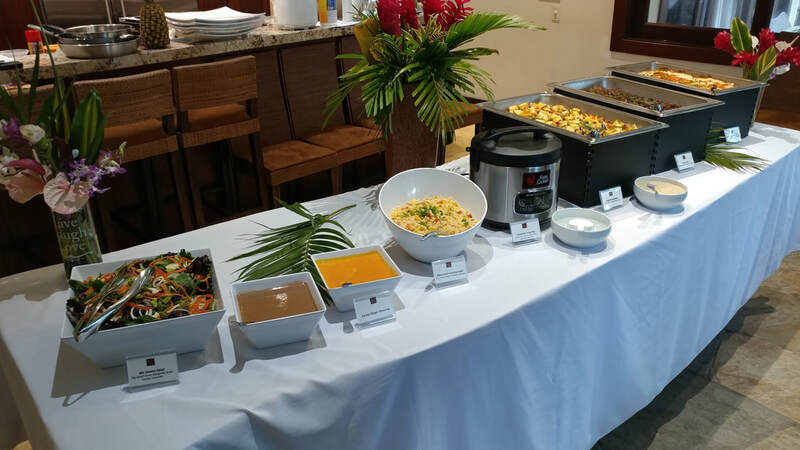 Kuoha Culinary is available to help any new restaurant develop a concept and menu based off their projected operating budget and niche market. Assess any back of the house issues for food operations and devise the right system to get them back on track. ​Assist in any commercial/residential kitchen design to create the most efficient layout for projected use.